From Insight Editions comes another stunning book filled with lore and artwork from the Diablo III “universe”. Diablo III: Book of Tyrael will be released on October 1, 2013. Personally, I cannot wait to get my hands on this book! My experience playing through Diablo III has made me a huge fan of Tyrael. If you’ve played through Normal Difficulty of Diablo III, then you already know that Tyrael started out as the Archangel of Justice on the Angiris Council. 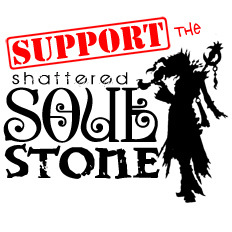 He chose to give up his immortality in order to help the Nephalem on Sanctuary (and he does help the players through many parts of the Diablo III game). What’s not to like about a character that makes such a huge sacrifice in order to help others? Diablo III: Book of Tyrael is intended to be a companion edition to Diablo III: Book of Cain. In other words, Diablo III: Book of Tyrael is not a novel (like Diablo III: The Order, written by Nate Kenyon, is). This time, players will get an in-depth look into the mind of Archangel Tyrael. The book is a chronicle of Tyrael’s involvement in the Eternal Conflict that wages in the Diablo “universe”. You can also expect to find more amazing illustrations that are wrapped within covers that are as detailed as what we saw with Diablo III: Book of Cain. 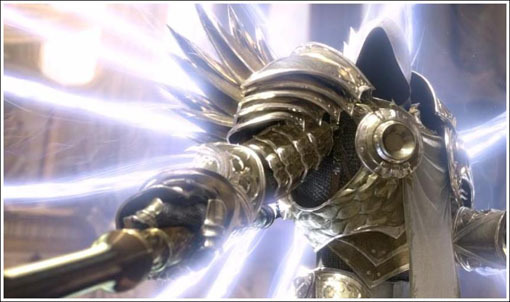 As a former archangel of the High Heavens, Tyrael ranks among the most important and influential characters in the Diablo franchise. Here, in this illustrated and comprehensive tome, he reveals never-before-known secrets about the history of the world, the dark threats that yet face mankind, and his decision to join the ranks of humanity as a mortal. In addition to plenty of writings from the viewpoint of Tyrael, the book will also include some writings from Leah and Deckard Cain. There will also be a fully removable family tree. I cannot help but wonder whose family tree that is! I suppose it could be Leah’s family tree. Maybe it is a family tree that connects all of the Archangels? We are just going to have to wait and see. It seems to me that you wouldn’t necessarily have to have read Diablo III: Book of Cain before you can dig into Diablo III: Book of Tyrael. They aren’t exactly a “series” (like what you would find with novels). Each can stand completely on it’s own, and will enhance the information that is found in the other. I tend to think of these type of books as one part “Monster Manual” and one part “story time”. You can start with either one, and compare it to the other, without getting “lost”.